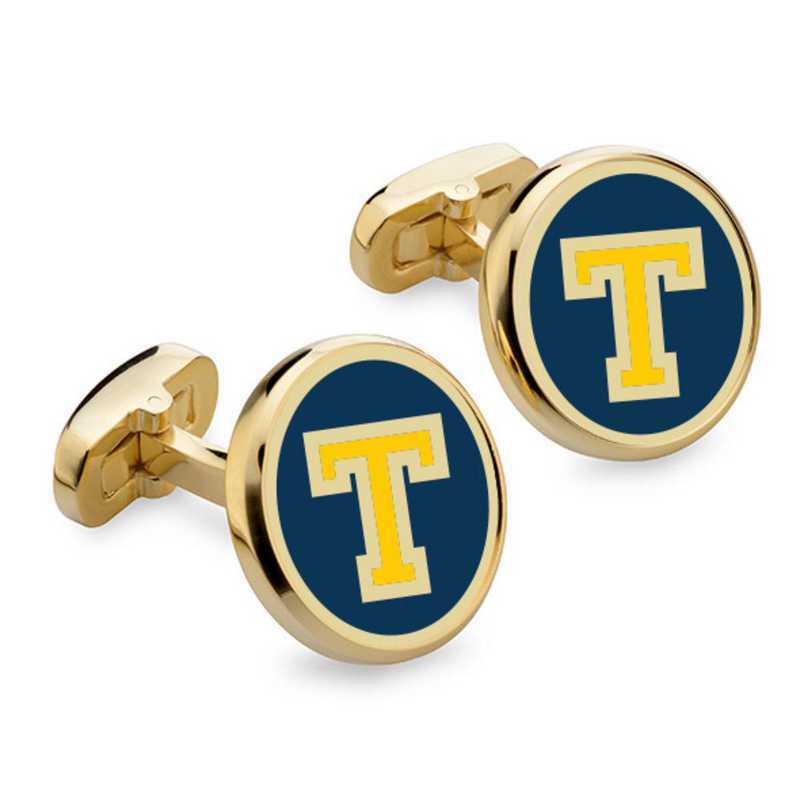 Trinity College Enamel Cufflinks by M.LaHart & Co.
Gear up your school spirit with the gift of awesome NCAA and college products. Wear your Trinity College pride on your sleeve with these traditional enamel cufflinks designed in England., Cufflink disc measures 22 mm diameter, Rich enamel with gold finish, Attractive M.LaHart signature jewelry pouch and gift box, Exclusively at M. LaHart & Co., Button-back may be engraved with initials or class year.Officially licensed by Trinity College. Manufactured direct from a trusted supplier. You're reviewing:Trinity College Enamel Cufflinks by M.LaHart & Co.